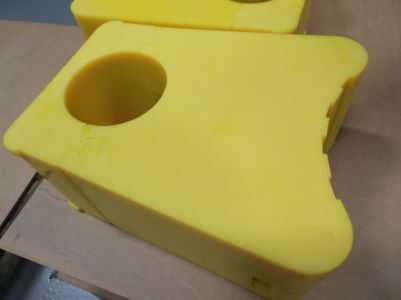 BMP Europe Ltd specialises in the manufacture and conversion of Technical Non Woven Textiles, Engineered Polyurethane Elastomers, Mechanical Components and Sub Systems. 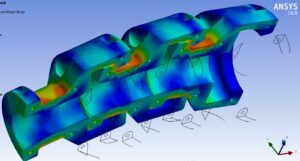 To continue promoting innovation and to meet their complex key objectives, they require the most advanced simulation solution. As a value-added reseller, Wilde Analysis helps BMP achieve their goals by supplying ANSYS FEA software, together with expert technical support. BMP is a wholly owned subsidiary of Andrew Industries Ltd, a privately owned and managed diversified industrial manufacturing group. Operating globally, BMP specialises in the manufacture and conversion of Technical Non Woven Textiles, Engineered Polyurethane Elastomers, Mechanical Components and Sub Systems for industrial and offshore equipment. BMP’s mission is to provide their global customers with innovative new products that are reliable and meet or exceed their requirements now and into the future. 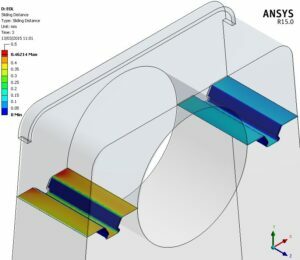 BMP recognised that to achieve this they require advanced software that would allow them to accurately simulate and analyse designs to optimise product performance. 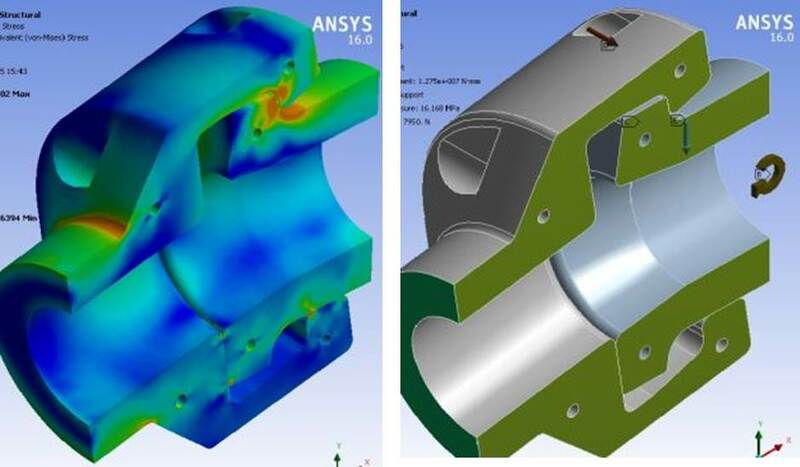 To meet BMP’s requirements, Wilde advised incorporating ANSYS Professional NLS software into their product development process with a bi-directional ANSYS Geometry Interface to enable seamless integration with their Autodesk CAD system. This provides their engineers with advanced FEA capabilities to understand and solve complex design problems for a wide range of applications. 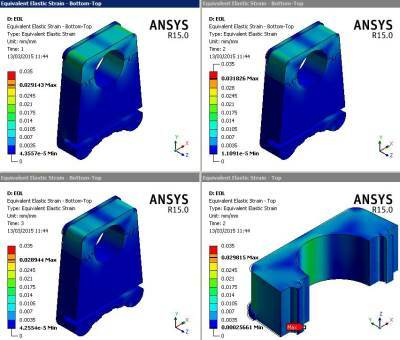 One example is the successful use of ANSYS to optimise their Piggyback Blocks for clamping and supporting pipelines. • Possible addition of an installation aid slot or cut out to an existing design without compromising load capacity. Overall these benefits have enabled BMP to increase their productivity, minimise physical prototyping and helped to deliver better and innovative products in less time. ANSYS enables us to calculate stresses and FEA limits to optimise our design solutions and provide confidence in our products. By using this software, we have not only saved costs and time within our projects but also improved the reliability of our products.